Businesses generally recognize the importance of consistent social media activity as a sounding board for customers. 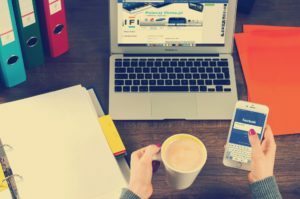 Recently, a higher frequency of social media postings (yes, even for B2B businesses) has been shown to offer SEO benefits as well. We’ve all seen companies start posting regularly only to “go dark” after a period of time. It happens. On the outside, social media is a simple concept; but in practice, the reality of remembering to post when things get busy can get the best of those without a scheduling strategy. That’s where social media scheduling tools come in handy. Scheduling platforms allow for posting ahead of time but they are also valuable for helping you construct a framework for well thought-out content. Each month at BCS Management, we lay the foundation for social media planning and scheduling with a content calendar. 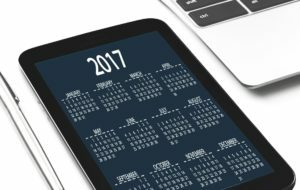 The calendar allows us to plan posting ideas, and types of content. By establishing different categories of content, we are able to assign a classification from promotional or informational to just for entertainment postings. Our content calendar tool helps keep content fresh, and keep the team accountable for maintaining active social media posts. Social media scheduling tools such as Hootsuite and Sprout Social allow you set up content to be posted on multiple platforms at the time of your choosing. Aside from convenience, timing is also an added benefit for scheduling posts ahead of time. A 2018 study on the best posting times, shows that timing really matters in social media when it comes to maximizing exposure. Having planned posts can help ensure you’re getting in front of your audience when their most active. Scheduling platforms also provide analytics, which can be the most valuable tool. Analytics offer insight into how impactful your social media really is. Views, clicks, demographics and more are compiled into monthly reports that can be compared to any previous period of time. Plus, it’s a great tool for marketing professionals to show the value of social media (just saying). Despite the tools available, the most critical determiner of success is still the content that is shared. Creative and fresh ideas can be hard to generate regularly. Especially if you’re busy. We specialize in social media services for businesses of all types looking to improve their reach and search engine ranking. Contact us if you want to know more about how social media can add value to your business.